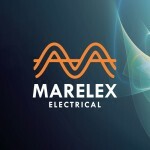 No one does Electrical Control like Marelex Electrical. We also do Air Compressor control panels, so if you need anything from a starter or if you’re trying to match two different compressors CONTACT US today for the most ideal solution. Direct On Line starters (DOL). “A direct on line (DOL) or across the line starter applies the full line voltage to the motor terminals, the starters or cubicle locations, can usually be found on an ELO drawing. This is the simplest type of motor starter. A DOL motor starter also contains protection devices, and in some cases, condition monitoring. Smaller sizes of direct on-line starters are manually operated; larger sizes use an electromechanical contactor (relay) to switch the motor circuit. Solid-state direct on line starters also exist. 1 Kw DOL compressor starter mounted in a panel with Manual off Auto switch and fault light indicator. Manufactured from high quality components from $999.00. Soft Starters, Star/Delta starters and Variable Speed Drives . Save wear and tear on your compressor and save money on electricity. Two or more compressors to control or matching two different brands. No worries! Two compressor control, using a smart logic controller to swap run duty cycles on a regular basis, you can also use offline compressor as a fault backup. As soon as the running compressor fails a fault light is indicated on the control panel and the off line compressor takes over. Manufactured from high quality components from $1,500.